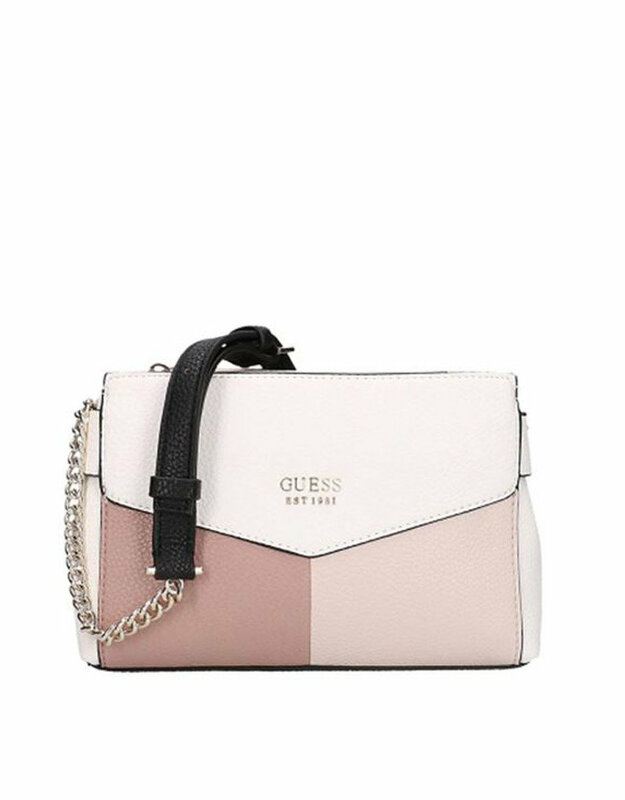 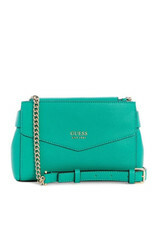 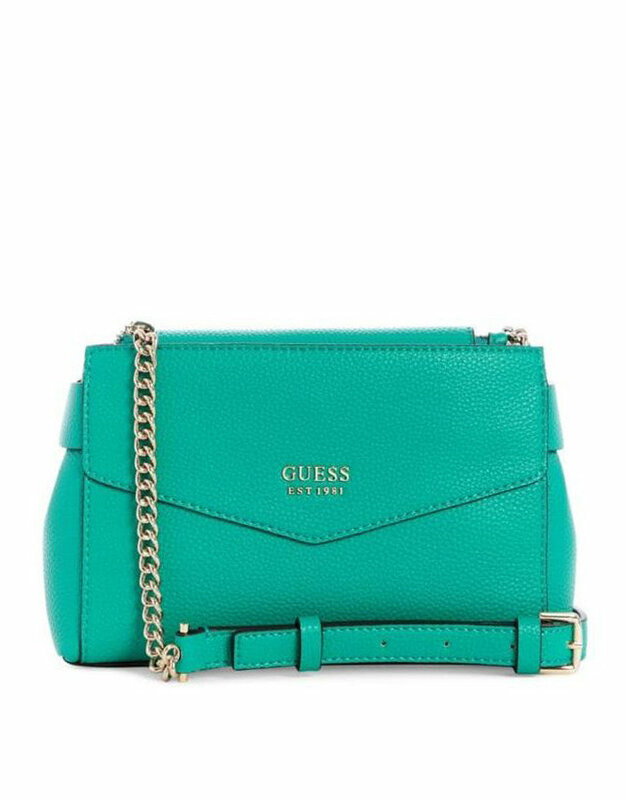 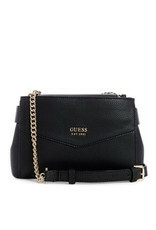 Guess Colette Mini Society Crossbody. 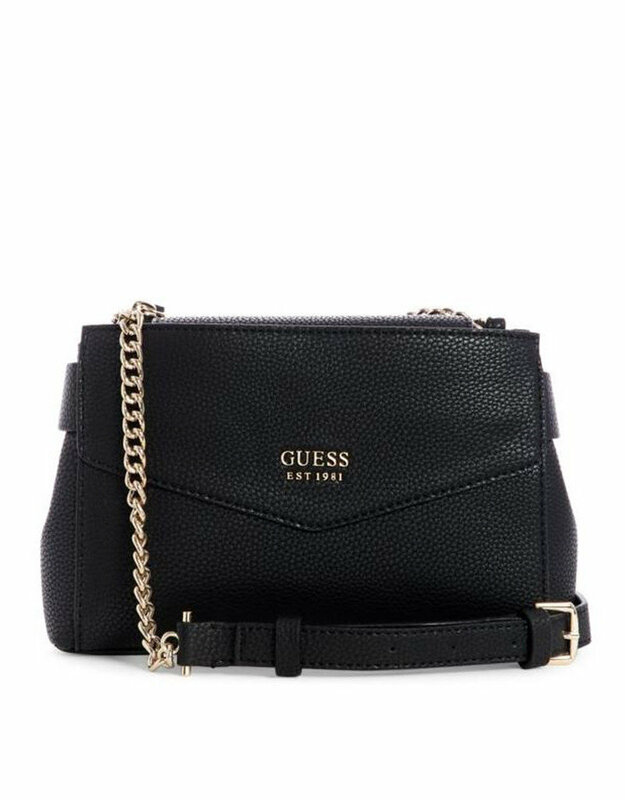 A pebbled faux-leather organizer featuring a front logo detail and dual zipped top pockets for a must-have look. 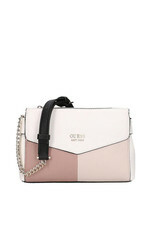 Pale gold-tone hardware.